A look back at the highlights of 2012 covered on Inside the Middle East. Filed under: Culture Egypt Inside The Middle East U.S. Egyptians are known for their humor even in the hardest of times, but it maybe too early for Egyptians to laugh off a prank like this. Egyptian singer and actor Mohammed Fouad repeatedly hit the host of the show and Lebanese actress, Cyrine Abdel-Nour threatened to sue the program, after realizing that the kidnap they thought they were victims of was nothing but a prank. Comedian and actor Ramez Galal, known for his extreme practical jokes, staged what looked like a terrorist attack on a tourist bus carrying the celebrities. This was part of a comedy show “Ramez the Desert Fox”, a special series for the holy month of Ramadan on Egyptian channel Al Hayat. A bit too extreme? Some would agree. Especially for a country that is still recovering from instability, following last year’s revolution that toppled Egyptian president, Hosni Mubarak, after 30 years in office. The country has been battling ever since to pick up the economy and restore security, a topic many thought too sensitive to be funny. Ramez Galal is far from being funny. His show is trivial and very perilous. "The channel is aware that the program is a bit harsh, but it reflects the lack of security in Egypt and this is what makes it the most watched comedy show in Egypt," Mootaz Salah El-Din, a media spokesperson at Al Hayat TV channel, told CNN. "Egyptians are known for their humor. They deal with hard times through practical jokes." El-Din says that an ambulance is always available on set but so far they did not need to use it. The program has pranked 31 celebrities, he said. "We give the celebrity the option to refuse showing the prank on TV, but none of the pranked celebrities refused," said El-Din. Ramadan, the holy month of fasting in Islam, is the peak of airtime for all TV producers in the region. Shows like this one is what families gather around to watch. Galal had a similar show last year’s Ramadan where celebrities were stuck in an elevator with a lion. 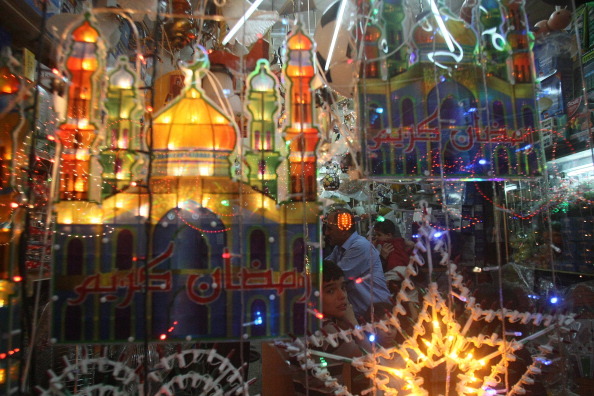 Muslims around the world begin fasting on Friday in observation of Ramadan, the holiest month in Islam when the faithful abstain from eating food or drinking water from sunrise to sunset. If, that is, Ramadan actually begins on Friday. Every year, identifying the start of Ramadan is like a waiting game; Islamic scholars must see the new crescent moon in the night skies before the holy month officially begins. Unlike the Gregorian (or Western) calendar, the Islamic calendar is based on lunar patterns. And the lunar month begins with the sighting of a new moon. This annual – and greatly anticipated – announcement is typically made by Islamic authorities in each country (although many countries in the Middle East follow the moon sightings of scholars in Saudi Arabia). But with all the technological advancements of the 21st century, why can’t scholars predict the exact date the moon will appear? They can – astronomers have the technology to actually see the shape of the moon in broad daylight, even with high humidity, pollution, and even sand in the air. But some Islamic jurists and clerics refuse to announce the arrival of Ramadan until they have seen the new moon with their own eyes. Additionally, the validity of these high-tech methods is creating a debate among Muslim scholars and jurists, according to astrophysicist and astronomy professor Nidhal Geussoum, of the American University in Sharjah in the United Arab Emirates. Adding to the confusion: in some countries, like Sweden or Norway, the sun does not set at all in the summer. Muslims in countries like those have two options, according to Geussoum. The first, he says, is to go with whatever date is announced in Mecca, Saudi Arabia, considered to be the holiest city in Islam. The second is to begin Ramadan with the moon sighting nearest to them, Geussoum adds. Here in the UAE, many Muslims are still waiting for an official announcement from the local religious authorities, who will most likely also coordinate with religious authorities in Egypt and Saudi Arabia. Im so confused.... WHEN DOES RAMADAN START? TOMMORROW OR FRIDAY? Can jumping spiders hunt in space? He likes science, spaceships, and spiders. Now, Amr Mohamed, a 19-year-old Egyptian living in the coastal city of Alexandria, will get to combine all three of his passions. Mohamed was one of two global winners of the 2012 'Space Lab' competition, a YouTube-sponsored initiative to send high-school science experiments into space. His project – to see how microgravity will affect the zebra spider's ability to catch its prey – will be launched into space for testing by astronauts living onboard the Space Station later this year. Maktabi traveled to Alexandria to meet young Mohamed, to find out how his experiment can help other Egyptian children reach the stars. This month, 'Inside the Middle East', celebrates its 100th episode with a special look at education, focusing on the ways Egypt, Lebanon, and the United Arab Emirates are developing their future generations. Our first airing is Wednesday June 6 (click here for showtimes in your area). Egyptians headed to polling stations on Thursday, for a second straight day, to place their ballots in what many are calling the first free presidential election in Egypt's history. Political cartoonists have always been a burden for leaders in tightly-controlled, autocratic political systems. In the old Egypt, under the three-decade rule of former president Hosni Mubarak, the press was less regulated than some of its other Arab neighbors. Still, Egypt's press has opened greatly since Mubarak's February 2011 ouster, and cartoonists are relishing new freedoms that allow them to unleash their creativity. Can Egypt's next president fix Cairo's chaotic traffic? Chaotic, loud, incessant, and sometimes even horrifying traffic. In a sprawling metropolis of more than 20 million residents, where an estimated 2.5 million cars share narrow streets with trash-wielding donkey carts and rickety, three-wheeled tuk-tuks, idling in the endless traffic jams can easily whittle hours off each day. And there is no such thing as rush hour in the Arab's world largest capital – every hour is rush hour in Cairo. Our team got an up-close look at #CairoTraffic (yes, Cairo's gridlock claims its own hashtag on Twitter) during a recent trip to Egypt to film our 100th episode. Taking a short drive across town – sometimes just 10 to 15 kilometers – frequently took us several mind-numbing hours. With little else to do in the car, we snapped a few pics of the daily jams – take a look at them here on our Facebook account. Egypt’s recent uprising did not help matters on the roads, according to government officials. In late January 2011, two weeks before the departure of Mubarak, most police vanished from their posts. Traffic police have since returned to the streets of Cairo – but not every street. “Things have got worse since the recent revolution, because motorists can now get away with traffic violations without being punished,“ Amer Gamgoum, head of Cairo traffic enforcement, told the state-run Egyptian Gazette last May. It's hard to imagine things could actually be getting worse. Take a look at this 2010 video from CNN’s Egypt correspondent, Ben Wedeman, who is certainly no stranger to the perils of crossing the road in Cairo. 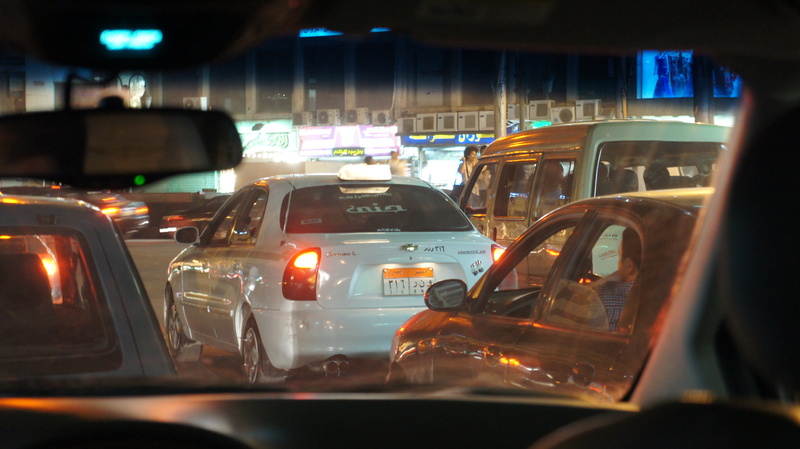 Will Egypt's future president be able fix congestion in the capital? IME in Cairo for our 100th episode! 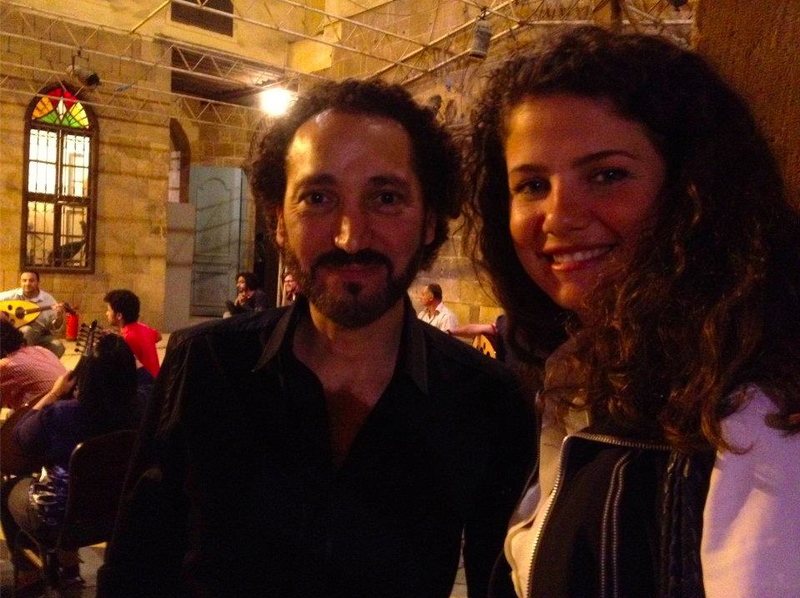 Rima Maktabi with renowned Iraqi oud aficionado Naseer Shamma at his music school in Cairo. Inside the Middle East team is in Cairo this week as the show celebrates its 100th episode with a special look at education, focusing on the ways Egypt, Lebanon, and the United Arab Emirates are developing their future generation of leaders. Check out these behind-the-scenes photos on our Facebook page. From Egypt's bustling capital, Cairo, to the coastal city of Alexandria, Rima Maktabi meets several young Egyptians who explain the challenges of studying – or simply learning how to read – in a nation currently undergoing a rocky transition to democracy. The program then travels to Beirut, and learns why most Lebanese students are not taught some of the basic history of their nation's 15-year civil war. In Cairo and Abu Dhabi we meet up with the world famous Iraqi musician Naseer Shama, a man devoting his life to teaching young people the history and melodies of the oud, a traditional Middle Eastern guitar heard in most songs across the region. This blog has now been archived and commenting has been switched off. Visit the Inside the Middle East site for news, views and video from across the region. © 2012 Cable News Network. Turner Broadcasting System, Inc. All Rights Reserved.